An architect who excelled at transforming an architectural fantasy into a practical, livable home, Addison Mizner was one of the most original and influential designers America has produced. The houses, clubs, and shops he built for the clients of Palm Beach and Boca Raton, Florida, evince a brilliant grasp of how to blend a building with the environment, how to adapt it to the climate and how to situate it in order to make the best use of the elements of sea, light, and air. Florida Architecture of Addison Mizner shows more than 30 residences, including Mizner’s own, plus those of Harold Vanderbilt, Rudman Wanamaker, A. J. Drexel Biddle, Jr., Edward Shearson, Mrs. Hugh Dillman, and many more. Also covered are such landmark Mizner creations as the Everglades Club, Via Parigi, the Singer Building, The Cloister at Boca Raton, the Riverside Baptist Church at Jacksonville, and many others. An introduction by author and journalist Ida M. Tarbell offers fascinating glimpses into Mizner’s early life and background, and how it prepared him to develop architecture that “belonged” in the Florida landscape. Inspired by the beauty and charm of the villas and palaces of the Mediterranean, Mizner designed in a Spanish Colonial style far better suited to the subtropical sun and climate of Florida than the transplanted houses of the North at first so common in the state. In 1932, Mizner published The Many Mizners, an autobiography covering his youth, years in Alaska, and time in New York until the death of his mother. A second volume telling of his work in Florida was begun but never completed as Mizner died in 1933 of a heart attack in Palm Beach. 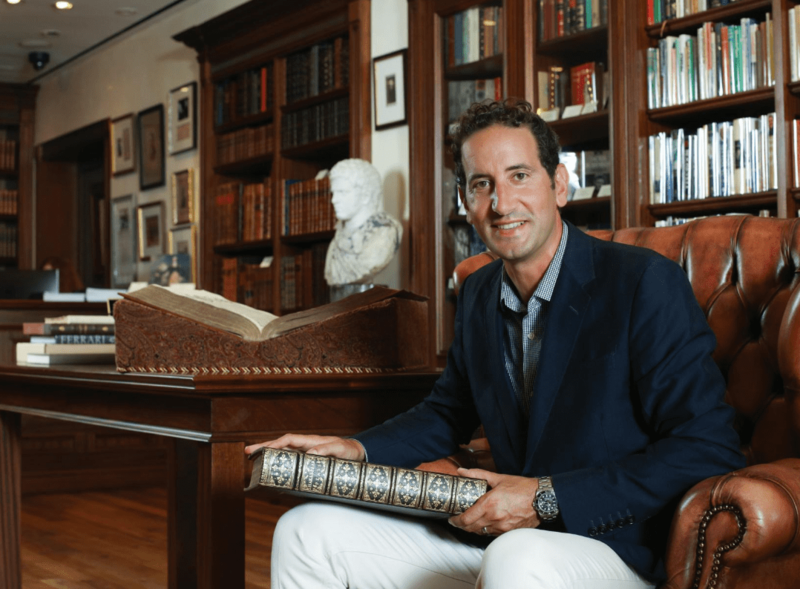 The architecture of Addison Mizner has a special place in history for us at Raptis Rare Books, as our gallery on Worth Avenue is in close vicinity to some of his most important architectural achievements, including his own majestic residence, Villa Mizner. View more highlights from our collection of many of the greatest works of art and architecture here.